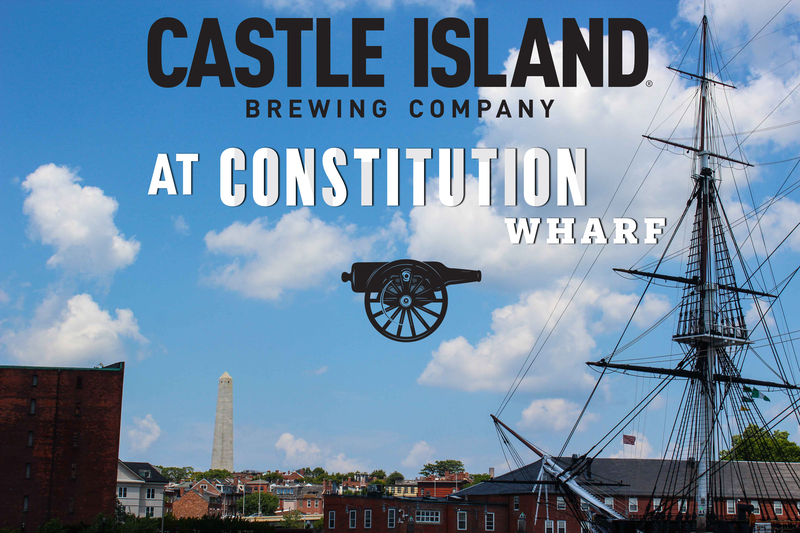 Constitution Wharf – Castle Island Brewing Co. 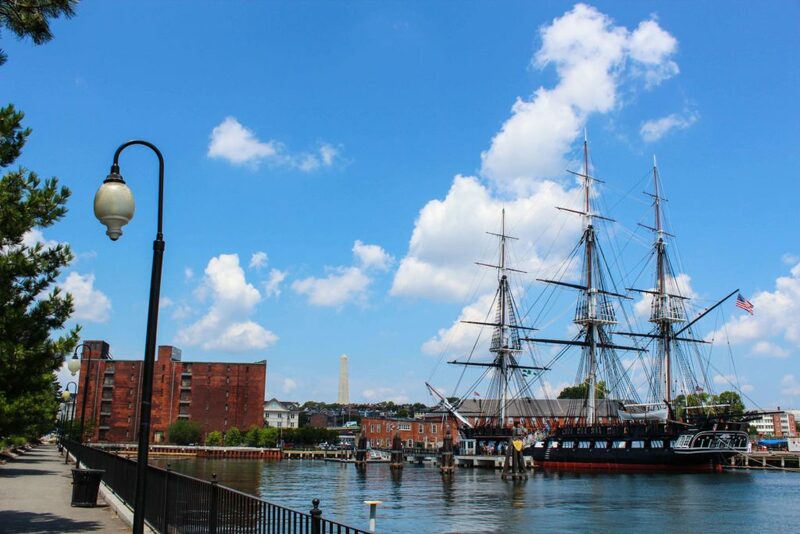 This summer, we’re charting a course to Charlestown to open our first beer garden! 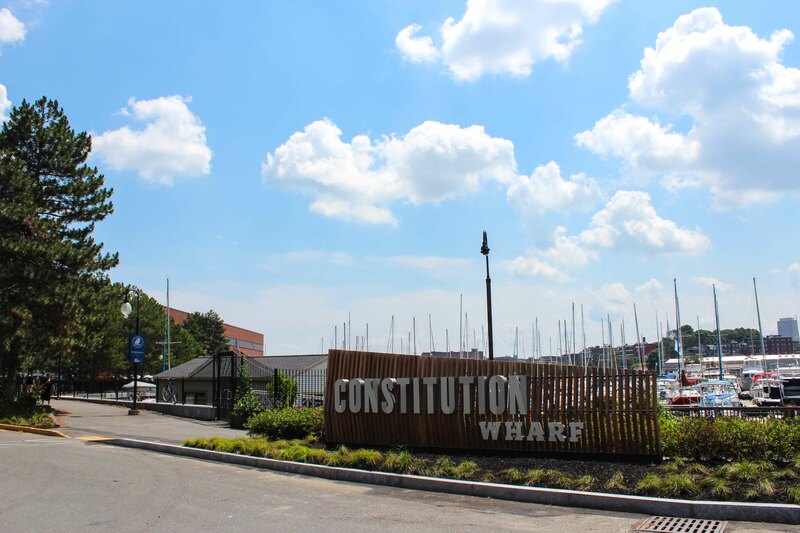 We’re docking at 1 Constitution Wharf for a waterside retreat featuring a full draft list, games, serene views, and much more. Need help finding your way? Click on the slider in the top left corner of the map to find the best route to us. We’ll see you there! Last call is 45 min. before closing. Our beer garden is situated right along the water at 1 Constitution Wharf in Charlestown. 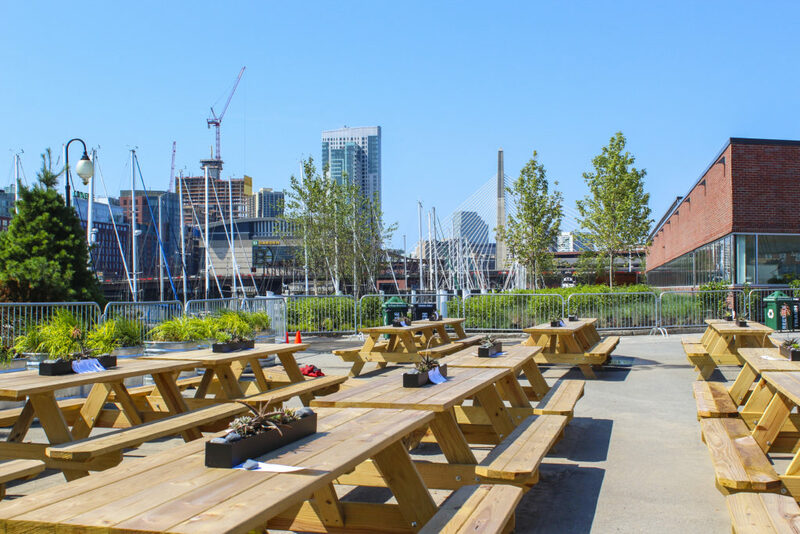 Take a seat at one of our communal tables and enjoy a beer in the company of the marina’s boats, views, and ocean breeze. Expect a draft lineup featuring flagships like Keeper and American Lager, as well as limited pilot beers we’re cranking out at our Norwood brewery. So kick back, grab a pint, and enjoy the view! We sure do! Our beer garden is open to all ages. However, to purchase any alcohol you’ll need to show a valid ID. Your furry friends are more than welcome to join, as long as they’re on a leash! We plan to host food trucks during open hours. Vendors and schedules will vary, so keep an eye on our Events Page for complete details! Will you have any music? 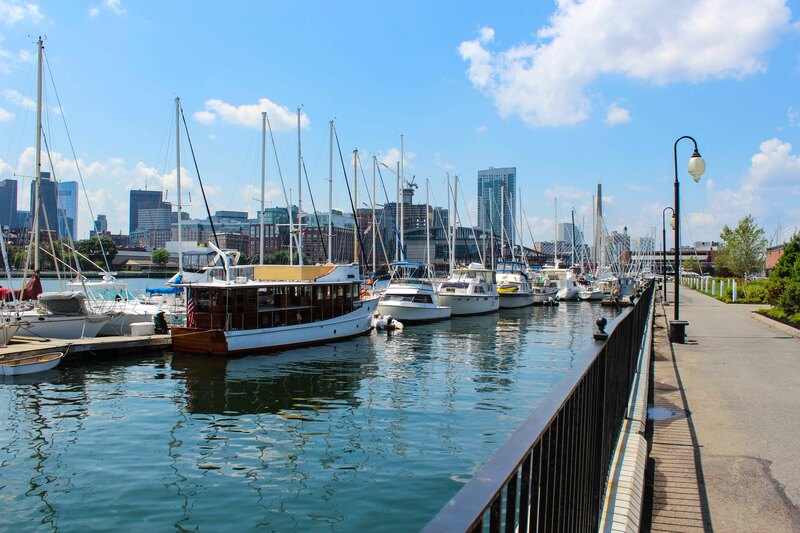 We’ll have some light music on each day, but we encourage you to chat with your fellow humans and take in all the sights and sounds of the harbor. Parking will be available at and around the Wharf, but we recommend ditching the car and making your way by foot or public transport! Use the map up above to help you chart the best course there, whether that be water taxi or the MBTA. 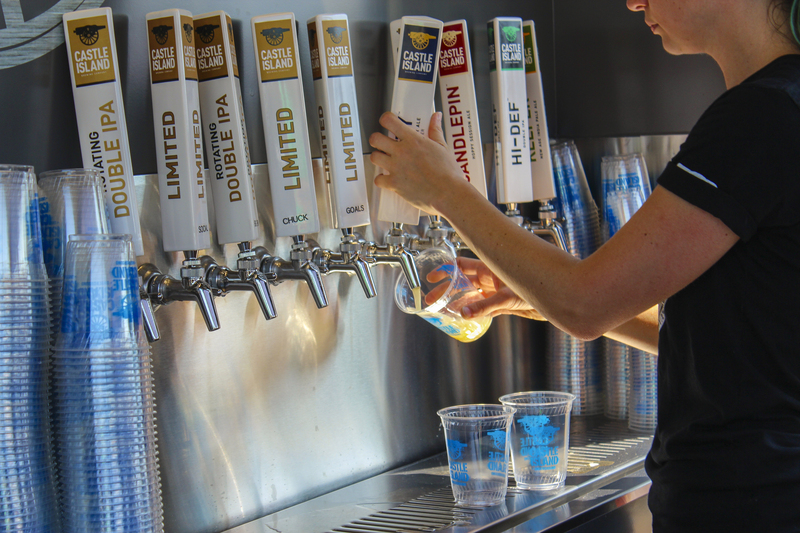 Will you sell beer to-go? Unfortunately, we will not offer any cans or merch at the beer garden. However, there are many spots around where you can find some! 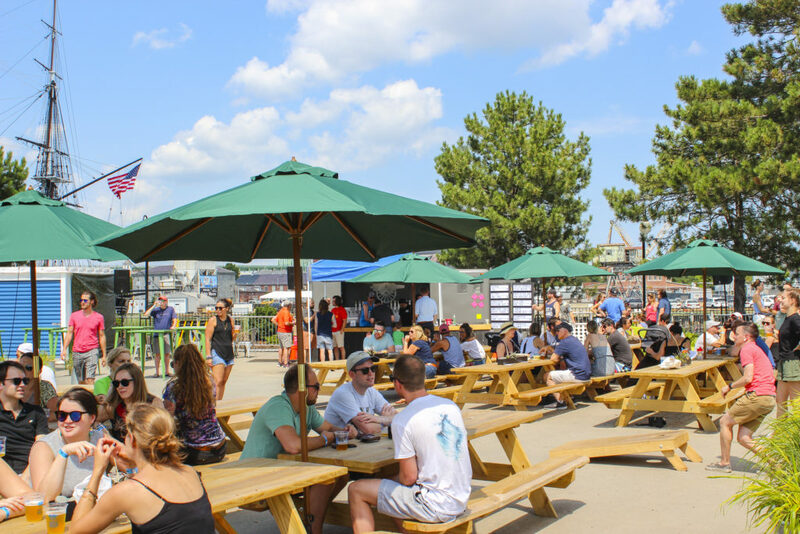 Chat with your bartender about finding a restaurant or store near the Wharf, or head to our Beer Finder page to track down a place near you. Will you offer anything other than beer to drink? We plan to offer a variety of non-alcoholic beverages alongside our beers! We’ll have security on hand during all open hours to ensure a safe and respectful environment. No drinks will be allowed off the premises, and patrons will be reminded that the Wharf is a residential area upon entrance and exit. More than anything, we want to be good neighbors, and will work hard to make sure our space reflects that.